Sophisticated, stylish and utterly enchanting, Vienna is the perfect city break location for food and drink fans and architecture aficionados. It’s also surprisingly budget friendly. I love getting away in the autumn. There’s something peaceful about cities where normality has resumed after a summer of visitors and visiting. It’s a time of year that’s cold enough for seeking out hand and heart-warming hot drinks, yet warm enough to explore. And streets and spaces are alive with the bold colours of turning leaves, just before the first frosts step in. 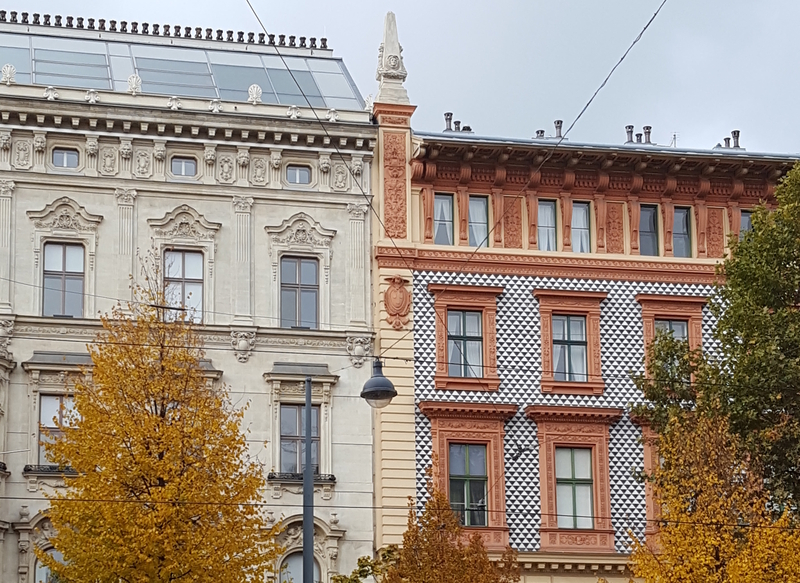 Vienna hadn’t been on the cards, but with plans to get away this October we stumbled across some great value flights and something piqued my curiosity. I’ve enjoyed my fair share of Austrian après ski in the past, but if I’m honest it hadn’t crossed my mind to explore the country’s cities before. Delightfully, Vienna turned out to be fantastic little city for a short break – packed with great places to eat and drink, stylish architecture and graceful green spaces. We spent four nights in Vienna at the end of October, when the weather was cool but comfortable enough to be outside all day. Two days were about right for exploring the city streets, another was spent walking in the vineyards close to the city limits and strolling the gardens of the city’s spectacular palaces, and on our last remaining full day we visited nearby Bratislava. In a new city, I love to get started by finding by bearings. Vienna’s easy to explore, with the old town – Alt Stadt – the metaphorical and geographical heart of things. Circumnavigating the Alt Stadt is the ring road, or Ringstraβe The name doesn’t do it justice, as here you can find Vienna’s grandest palaces, parliament, town hall and museums. Just follow the road, or hop on the tram for grandeur in abundance, as well as the real life workings of a major European capital city. Within the ring road you’ll find a living, breathing city centre. Winding cobbled streets jostle for room amongst patisseries, high street and high end stores. Cathedrals sit next door to cafes. The city centre isn’t the preserve of tourists, there’s a little bit of Vienna here for everyone. Take a couple of hours to meander your way around. You’ll find the stables of the Spanish Riding School a few doors down from department stores, craft breweries round the corner from offices. We found ourselves in the Alt Stadt several times during our few days in Vienna and loved soaking up the changing, but always enjoyable, atmosphere at different times of day. And whatever you do, follow your feet to the Cafe Alt Wien. With the walls plastered with posters for art shows and waiters with old fashioned aprons, this place oozes charm and a sense of the real old city. It’s not a get up for show – the décor really is stuck up with sticky tape – it’s a proper cosy, smoky, cafe that serves beer in steins and real coffee. Oh, and their hot chocolate’s not bad either. Whilst we’re on the subject of coffee, Vienna is the place to come if that’s your cup of tea. 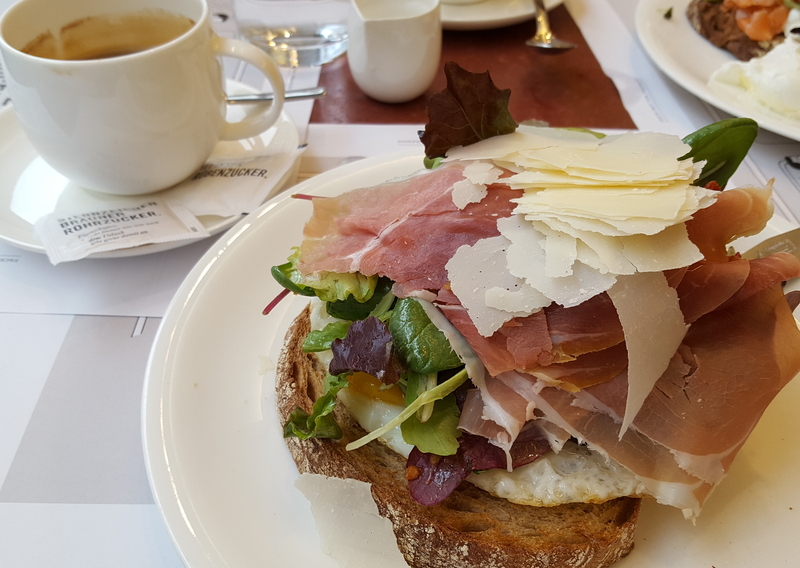 Whilst the French and Italians might be the first place you think of when it comes to something to wake you up in the morning, but it turns out the Viennese know a thing or two. Add into the equation a coffee shop on every corner and you’ll be looking for an excuse to visit when it’s cold enough to curl up indoors at any given opportunity (this was my plan). In all seriousness,Vienna has an amazing number of cafes – from the old fashioned like the Alt Wien, to hipster coffee roasters and even a cycle cafe in between (Give the cycle cafe a go, the owner seems a terribly nice man in spite of our best attempts to confuse him). Four days wasn’t enough to even scratch the surface, but I enjoyed enough cups of coffee to be confident there’s no such thing as a bad coffee in this city. When something a little stronger is needed, Vienna is a gem of a city. Maybe we just hit the jackpot, but we found several amazing little brauhauses in the city centre, each brewing their own beer. We enjoyed vast bowls of gulasch with our weissbiers and bocks at 7 Stern Brau, a scaled down version of a Bavarian bierkeller. Looking for a little more local atmosphere, we found great beers (and pretzels) at the 1516 Brewing Company in the old town. From the outside it looks a little like a generic chain restaurant, but step through the door and it’s quite the opposite. Rammed with locals on a Wednesday night, it’s dark, loud and brimming with people having a good time – expect to fight for a seat, but it’ll be worthwhile. A little further out from the centre we found The Brickmakers (nope, we never got to the bottom of the English name). As well as brew their own beers, they always have at least 20 craft beers and ciders on tap. And they do barbecue. Really good barbecue. I know it’s tempting to stick to Austrian beerhall classics, but don’t underestimate how much some good pulled pork, slaw, mashed potato and Austrian-brewed beer can be after a long day exploring. Next time I’m in Vienna, I’ll be back in a flash. Wonderfully, there is more to Vienna than just city streets. Grab a travel card and take tram out to Nuβdorf, a suburb on the outskirts of the city. Here, the houses dissipate into rows of vineyards as you enter Austrian wine country. If I’ve led you astray to think that beer is always the beverage of choice for the Viennese, I’d be very wrong. 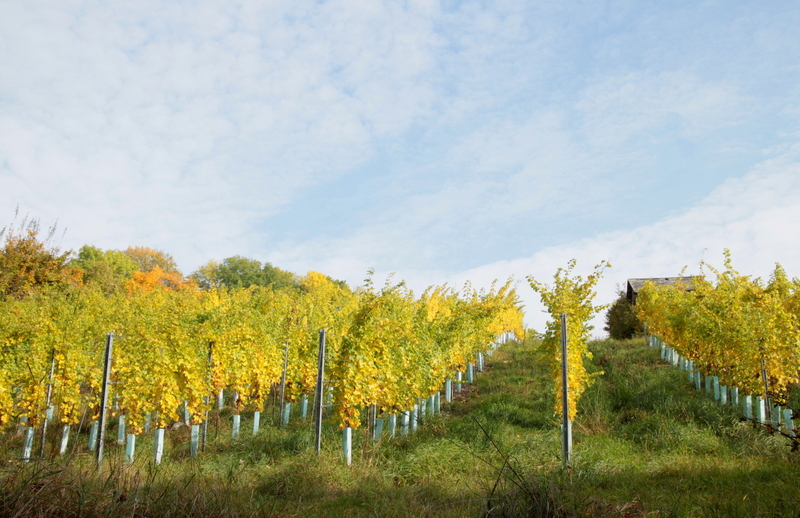 Small family-run vineyards dot the low hills surrounding the city, and are beautiful to explore. In the autumn sunshine, we were greeted by a cacophony of golds, coppers and greens. 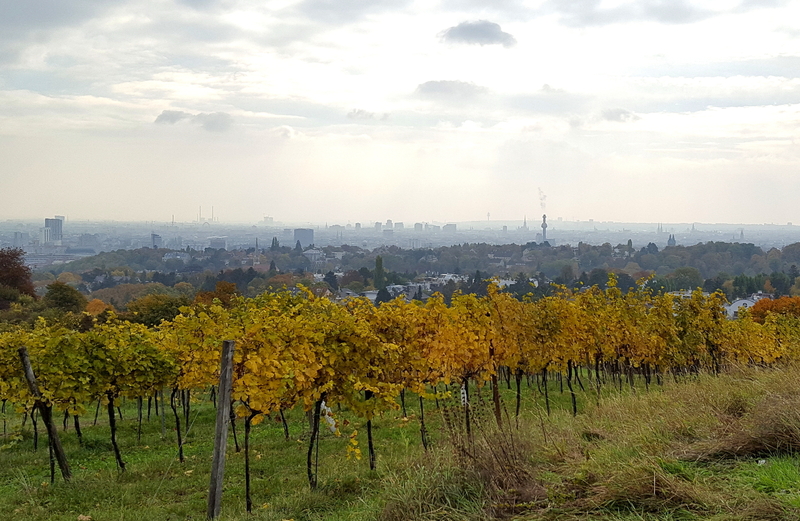 We followed the Stadtwanderweg 1, which weaves for 5-6 miles along largely paved routes through the vines to the top of the Kahlenberg and back to Nuβdorf. From here, you can look down over the city and the river below – unless of course, you manage to visit on a distinctly hazy day like us which necessitated a game of guess where Vienna is! If time is short or you’d rather stay central there are plenty of green spaces closer to the city centre worthy of investigating. The Prater park is one of the largest, squeezed between the languid river Danube and the Donaukanal. With it’s long, straight avenues of trees drizzling autumn leaves on us, it was a good spot for running or just a stroll, although it’s famous pleasure park was a bit of a damp squib in October. 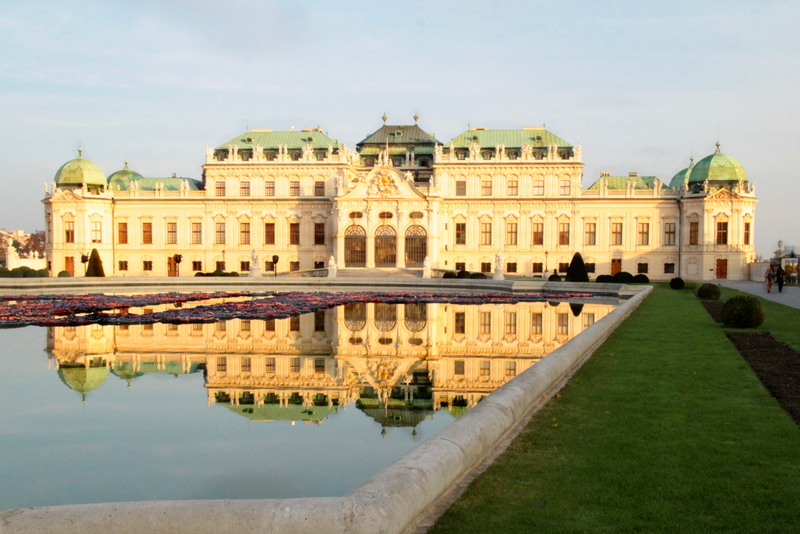 For something rather more sophisticated, the gardens of Vienna’s two largest palaces – the Schönbrunn and Belvedere – make for an ideal spot for a promenade or picnic. Schönbrunn may be a little further from the centre but more than makes up for this with it’s vast scale. We spent a pleasant hour or so getting lost in the gardens. Follow the crowds to the Gloriette glasshouse for a panoramic view of the palace. The Belvedere is only a few minutes walk from the city centre, and was one of my favourite spots in all Vienna. What it lacks in size compared to Schönbrunn, it more than makes up for in elegance. If you’re an early riser, head here for a morning wander or run to see first light falling on the city below. We also headed to Vienna’s Slovakian neighbour, Bratislava, for a day. Less than an hour away by train, it’s a colourful, chaotic little city that’s a fantastic contrast to Austrian elegance. Find out more in my city guide Bratislava in a day: Cobbled streets and cafes, Slovakian style. On any trip, no matter how much being out and about is my favourite way to spend the day, there’ll always come a time when it’s too cold or dark to be out any longer. My recommendation? Enjoy the Albertina. It’s a stunningly beautiful gallery from an architectural perspective (visit the staterooms on the first floor for a glimpse of what life was like for previous residents of the palace), but I was blown away by how well curated the exhibits were. I beg your pardon, I hear you say. One of my favourite things we did in Vienna? We enjoyed breakfast out. Now I’m sure it’s not traditionally Austrian (actually, it was called an Italian) but it was delicious and set us up for one last day pounding the streets. If we’d had room after our huge breakfasts we’d have grabbed a sweet treat to take away for munching whilst exploring. We flew to Vienna from London Gatwick with Easyjet. Getting from the airport to the city is easy – take the non-stop CAT train to Wien Hauptbahnhof or the regular suburban stopping service for a fraction of the cost. 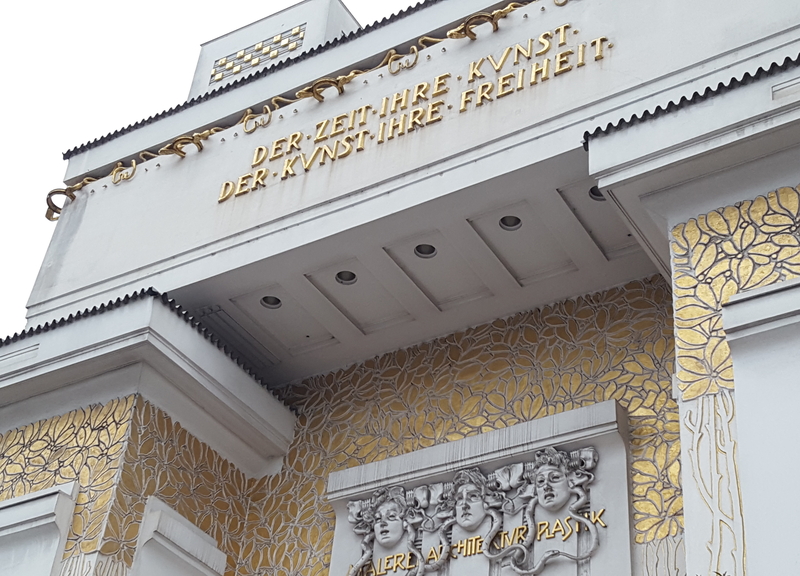 We mostly explored Vienna by foot, but a 24 hour travel pass (which can be brought throughout the city) is handy for exploring beyond the city centre. We stayed at the smart and comfortable NH Hotel Belvedere. It’s handily located a ten minute walk from the Alt Stadt and slightly more from the Wien Hauptbahnhof main station. It’s also a hop, skip and a jump from Renwegg station and a just one minutes walk from the beautiful gardens of the Schloβ Belvedere. Beautiful post Alice! I loved my trip to Vienna last year. Really enjoyed all the Viennese coffee and cake! Thank you Jayde – Id go back there in a flash. Now you’ve got me dreaming about Viennese cakes all over again…! A long weekend in Vienna the weekend before Christmas has become a Jetset Boyz annual event. Vienna’s prettiest squares transform into magical Christmas markets. The aroma of Christmas baking & hot punch sets the mood in the run-up to Christmas. We usually stay at the Hilton Vienna Plaza because it’s so close to the fabulous Christmas market at the Rathaus and about five other markets. Last year there were fourteen different markets – you’re absolutely spoilt for choice and you’ll feel like a kiddy in a sweet shop! So, if you’ve never been to Vienna in December why not make a plan and do it this December?